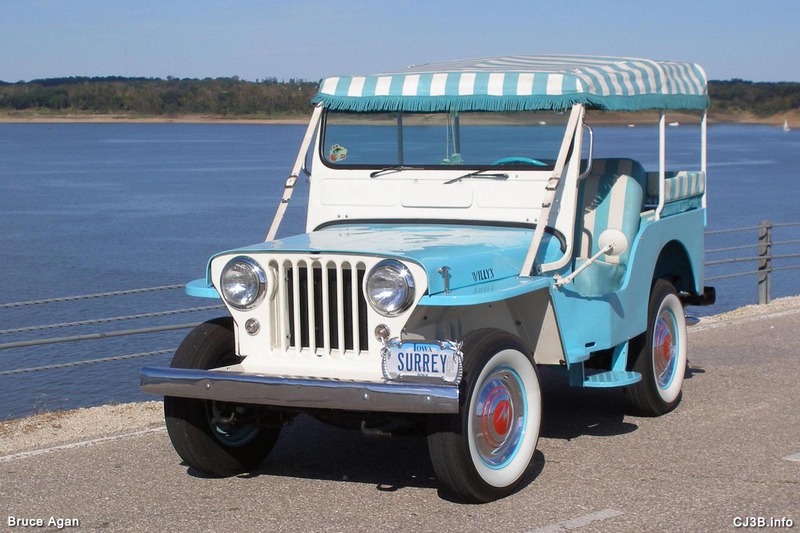 We don’t have any actual production figures, but the beautiful Cerulean Blue DJ-3A Jeep Surrey is less common than the Tropical Rose version, although not as rare as the Jade Tint green variation. The name Cerulean apparently derives from the Latin caelum, meaning heaven or sky. The paint color used by Willys is similar to the cerulean crayon made by Crayola, which is brighter and has more green in it than the true cerulean blue pigment used by artists and made from cobalt stannate. Some early publicity (120K JPEG) referred to the color as “Sheraton” blue, and it is a color still used by Sheraton hotels and resorts. Maybe this was a factor in Willys’ color choice. 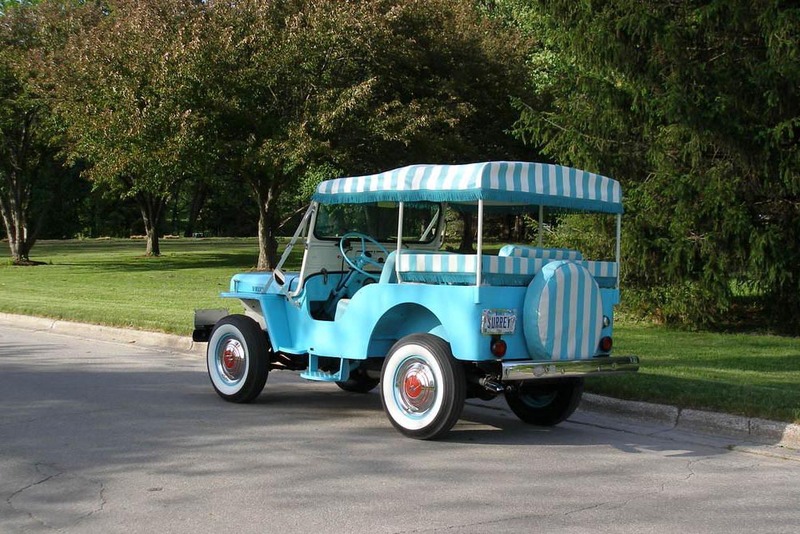 A Cerulean Blue Surrey is the latest Willys Jeep to be restored by Bruce Agan in Iowa (and it won’t be the last.) 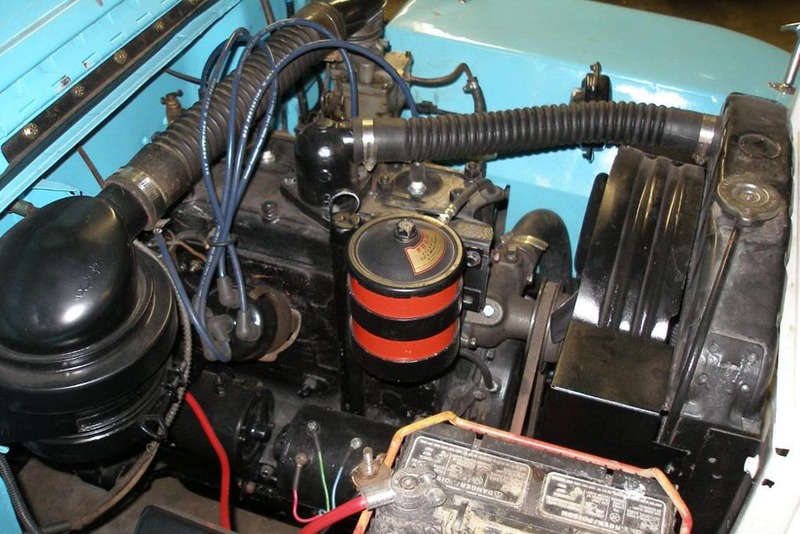 In the photo above, the 1964 Surrey is seen with a Royal Blue 1961 DJ-3A Dispatcher which has now been sold (you can’t keep them all) and Bruce’s 1951 M-38, which was his first restoration, completed in October 2000. See also a rear view of the three Jeeps and see more on the M-38 below. 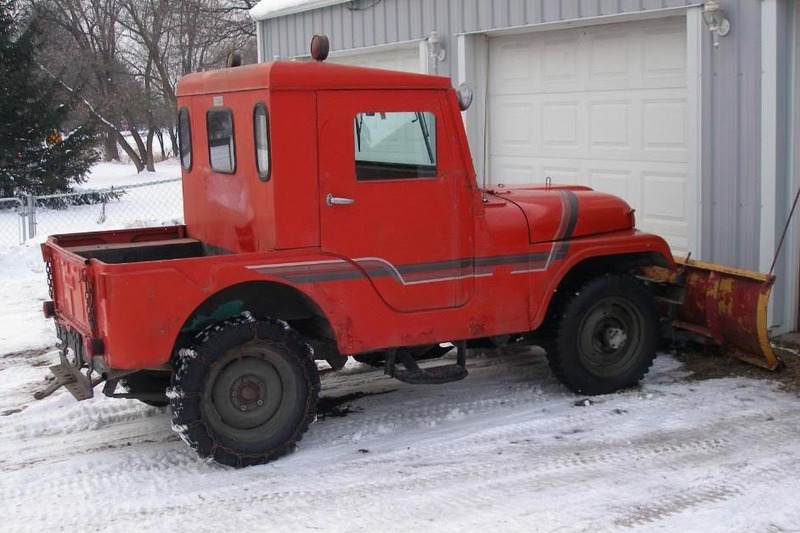 In addition to the unfinished 1949 CJ-2A peeking out of the garage above, which was actually Bruce’s first Willys purchase in 1999, he also has a 1962 CJ-5 snowplow (100K JPEG), a 1952 M-100 military trailer, and another 1951 M-38 bought in 2011. It was missing both front and rear seats and the hubcaps. The bows had been cut down and welded together. There was not a stitch of fabric other than the original straps. 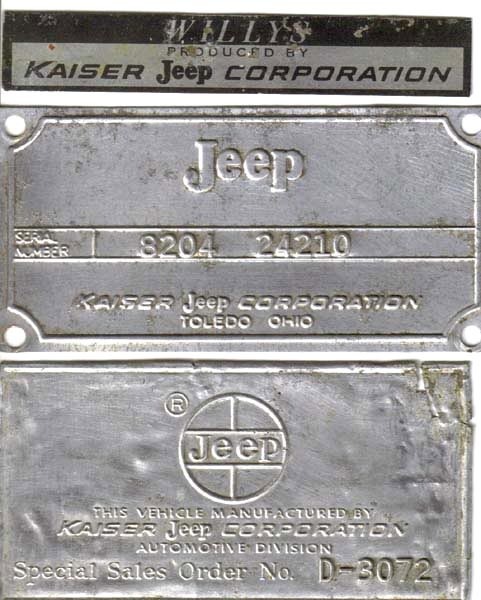 But the Jeep did have most of the hard-to-find parts, including the rear bumper which still carried the state of Hawaii registration, AAA and hotel parking stickers. See also a nice front view (170K JPEG) at Saylorville Dam. As is always the case with a Surrey restoration, especially a blue one where all the original fabric is missing, recreating the striped roof and seats is a big challenge. 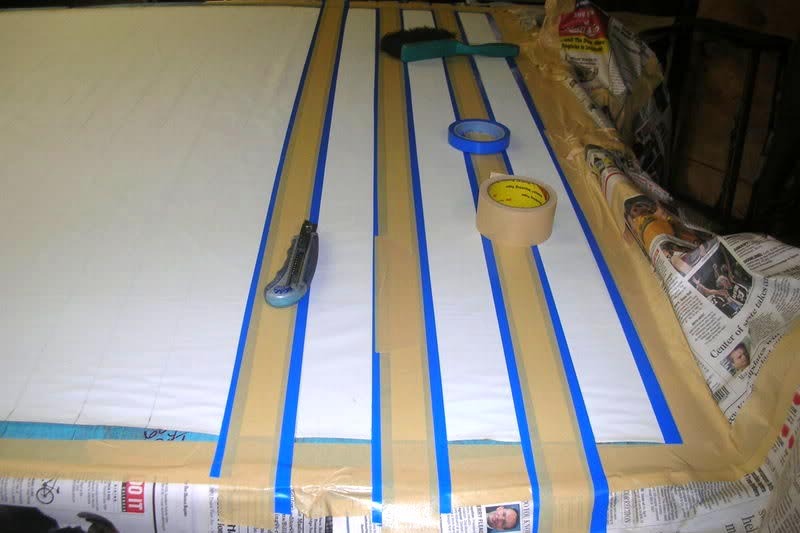 Bruce started with plain white cloth placed over the unpainted tub, in order to make a pattern for the top. Unable to afford or even find a manufacturer to make the few yards of striped fabric in the correct color (110K JPEG) he opted to spray dye and create his own. See also the Surrey’s L-head engine (140K JPEG). The Agan family loves introducing people to the Willys tradition by taking the Jeeps to shows, and they are regulars at the Iowa State Fair, among other events in the area. Bruce usually drives the M-38 in the Veterans Day Parade on the first Monday of the fair in August, and this great photo shows the Surrey sitting happily in the middle of a crowd of hot rods at the car show there in 2008. 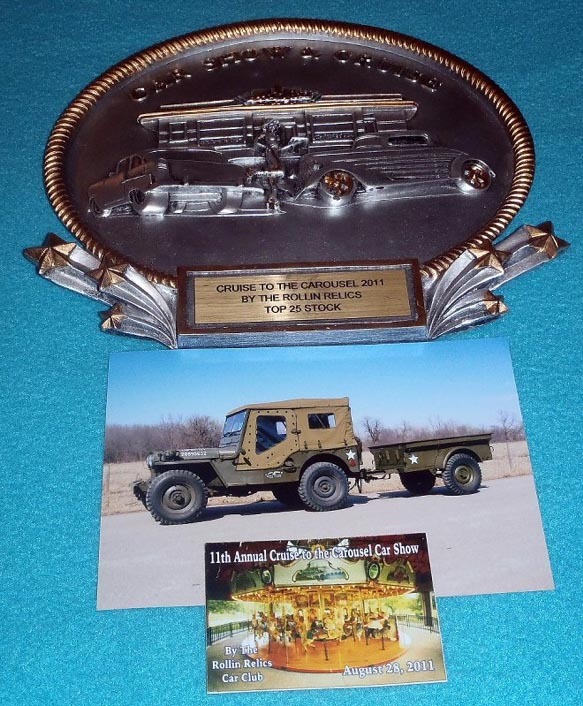 The “Cruise to the Carousel” car show at Union Park in Des Moines is another favorite show, and both the Surrey and the M-38 have won trophies there. Here’s Bruce at the 2011 show holding a Top 25 plaque (130K JPEG). “This photo of U.S. Marine Corps pilots taken aboard USS Essex, includes my cousin Capt. Alfred H. Agan, front left. 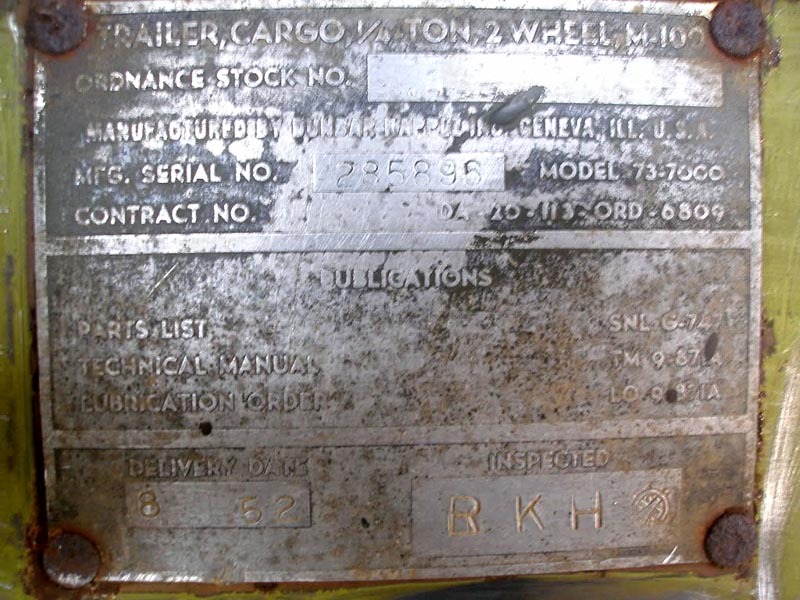 As of early 2012, Bruce is working on the restoration of his 1949 CJ-2A (100K JPEG), which will also be a memorial to a lost family member, Bruce and Linda’s son Bradley.